Here at DePaula Chevrolet, there are plenty of reasons why you should sell us your car — especially when compared to bigger chains like CarMax. When you sell your car to us versus CarMax, you’ll enjoy a hassle-free process, meaning a simple and quick way to get rid of your car. But, we can do more than just buy your car. If a new Chevy on our lot catches your attention, you can take advantage of our Vehicle Exchange program. If you were thinking of getting a new car anyway, why not take advantage of this by trading in your current pre-owned model and getting above market value that you can put towards the purchase of your new car. Don’t worry, even if you don’t want to buy from us, we’ll buy from you. What do we offer compared to CarMax? A host of benefits, such as a family-owned dealership experience, better incentives and deals, and a more relaxed atmosphere that larger chain dealerships can’t even come close to providing. Once you buy from or sell to us, you become a part of the DePaula Family. Therefore, you’ll be treated as such. Can you say the same about CarMax? Thanks to the increasing demand for used vehicles, DePaula Used Cars needs your pre-owned cars now more than ever, which is why we want your car, truck, van, domestic, import, full-size, or compact vehicle. We will buy just about anything. Our process is broken down into simple steps: Bring your car to us, find a staff member, get an appraisal, leave with your check. It really is that simple, and it’s a no-strings attached process. The written offer is on us, so you don’t even have to worry about paying a service fee. Furthermore, we guarantee our offer to buy for up to ten days or 1,000 miles after you receive your quote. That means if you are having second thoughts about selling your vehicle, you have time to decide. It doesn’t have to be an immediate sale, because we have a no-pressure attitude. But if you do decide to sell, you’ll get a check immediately. What about the process of selling to CarMax? 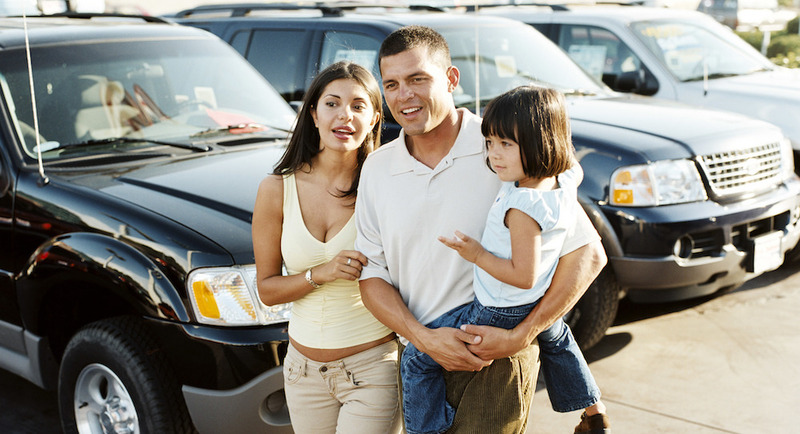 It might be just as simple, but no where near as convenient and seller-friendly as selling to DePaula Used Cars. Why? To start with, at DePaula Used Cars, you can kick off the appraisal process online. Don’t have time to come by our dealership? No problem. At DePaula Used Cars, we take advantage of online appraisal tools, like Kelley Blue Book’s Instant Cash Offer tool. So, you’ll know before you visit for confirmation, an approximate value for your vehicle. We have a form on our website you can fill out. Simply input the year, make, model, mileage, condition, VIN (Vehicle Identification Number), an exterior photo, and an interior photo of your car. If there is anything you want us to know, write it in the comments section. Provide us with your first and last name, e-mail, and tell us when you’d like to come in (if at all). Hit submit and wait for a DePaula staff member to contact you with our offer. That way, you don’t waste gas driving out to our dealership only to discover that you don’t like the offer presented. The best you can do to save time (not to mention gas) selling to CarMax is schedule your appraisal online. There is no online appraisal tool, and so you simply have to carve out time from your schedule to visit the CarMax location most convenient to you. You won’t know what CarMax will offer you for your vehicle until you show up in person. And while DePaula Used Cars grants you ten days or 1,000 miles to consider our offer, at CarMax, you have a week. Whether or not you’re an indecisive person by nature, selling your car is a big deal and DePaula Used Cars thinks you should have ample time to decide on that deal. That’s why we afford you the extra time, while CarMax restricts your consideration to one week. Also, if you approached CarMax for an in-person estimate prior to visiting DePaula Used Cars, you’ll enjoy our best-offer guarantee, which ensures that we will beat any written offer from CarMax by $500. Though you are under absolutely not obligation to do so, if you do choose to buy from us, you can make your purchase that same day. Take the money from the sale of your vehicle and put it towards a new car. Better yet, take advantage of our Vehicle Exchange program for an even better deal. Selling to us isn’t just hassle-free, it’s also beneficial, especially if you are looking to buy one of our new Chevy models while you’re at it. Although there is no pressure to buy from us — remember, we will buy your vehicle even if you don’t buy from us — it’s good to know that the Vehicle Exchange program has a multitude of perks that shouldn’t be ignored. You’ll get above market value for your vehicle (which means more money than CarMax), and lower monthly payments on your new vehicle. Because you decided to help us out by selling your car to us, you’ll also get better financing terms. It’s a great way for first-time customers to get an even better deal on one of our new Chevy vehicles. Apart from the benefits we provide, you’ll also enjoy the benefits of having an upgraded ride. A new car will instantly provide a host of noticeable advantages. You’ll have extended and more comprehensive warranties (or just have warranties again, in general), lower fuel cost, and increased MPGs, thanks to the way modern engines are designed. In addition, you’ll enjoy brand new comfort and technology features, increased safety and security technology, and reduced repair and maintenance costs. The best benefit of all? A reinforced peace-of-mind knowing that you’re driving around in a new car without any issues, that you purchased for an even better price thanks to your old car. You’ll also get instant access to our Preferred Customer program for even more savings. When you first sign up, you’ll receive $250 towards your new GM or GM Certified/Pre-Owned vehicle, $25 towards any service, parts, or accessories, 5% off any non-warranty maintenance work, and 5% off any purchase of parts or accessories. It’s free, and you’ll be able to take advantage of it immediately, then generate savings over the duration of your membership. Not only does DePaula provide a cost-effective way to simultaneously sell us your old car and buy a new one, but we offer even more discounts through our VIP program. Try finding deals like that at CarMax. In addition to the financial and convenience advantages, we also provide plenty of other perks when you sell to us. Our family-owned atmosphere is a huge plus in and of itself. Chain dealerships like CarMax who have over 100 dealerships throughout the country might have a one-up on convenience of location, but we are in this business for you – worth the drive if you’re located outside of our immediate area. If we weren’t, we wouldn’t make it a point to offer savings and programs to help make selling your car more beneficial. At DePaula Chevrolet, we foster a genuinely welcoming environment, where your needs are put first and your money second. Not the other way around. It all adds up to a stress-free experience, whether you want to sell a car, buy a car, or do both in the same day. Since we don’t have multiple stores to manage, we can focus on quality over quantity. This is why every member of our staff has been picked based largely on their personalities, and their willingness to help the consumer. We can also take our time and get to know you, so we can better help resolve any questions or worries you might have. Caring, quality customer service like this can’t be found at other dealerships that have to focus on maintaining production and profit — only family-owned ones like DePaula Chevrolet. 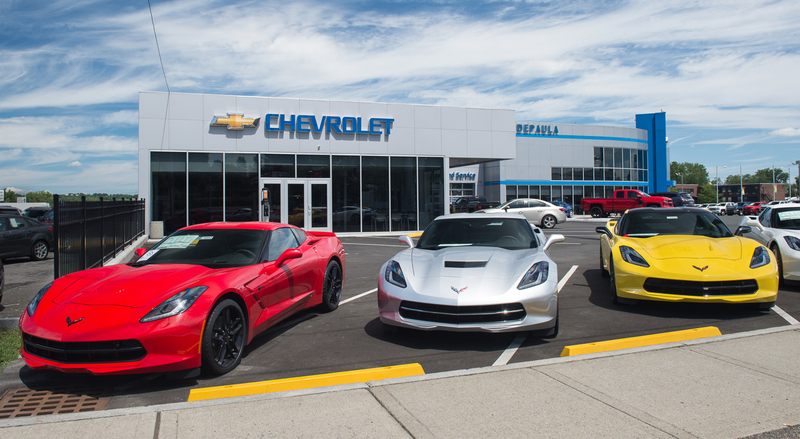 No matter what your car shopping and selling needs are, DePaula Chevrolet is your Albany, NY dealer of choice. Our wide selection of new and used vehicles available to you is just another reason customers value us, along with our exceptional service department. We offer certified Chevy service, and our technicians are versatile and proficient enough to work on any used cars you purchase from us. That way, we can ensure that every vehicle will get the same high-quality service as our new Chevy models. While waiting for your car to get serviced, you can take advantage of loaner vehicles if your car will be in the garage for more than 24 hours. For extra customer convenience, our waiting area is equipped with complimentary Wi-Fi and we also feature work stations for the customer who is always hustling. But, for little ones, we also offer a children’s play area. This further proves the dedication we have to our customers, no matter their ages, demonstrating why DePaula Chevrolet is the premier dealership in the Albany area.